Caroline Louisa Waring Atkinson was born in 1834 at her parents’ property “Oldbury”, near Sutton Forest and Berrima on the Southern Tablelands of NSW. She was the youngest of four children. Her father, an author, died when she was only 8 weeks old, leaving her widowed mother to bring up the family. 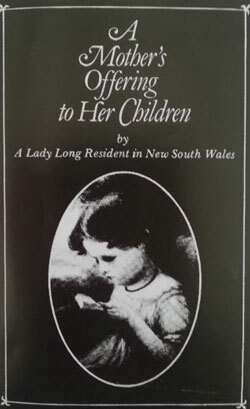 Her mother was also an author, this time of Australia’s first children’s book “A Mother’s Offering to Her Children”. She remarried, but disastrously, for the new husband, George Barton, “became violently and irrevocably insane not long after the marriage”, resulting in the family needing to leave Oldbury. So mother, four children and a handful of loyal servants decamped to a family cottage down the escarpment at Budgong for several months, and then went to live in Sydney. Several years later they moved away from the city. Thus Louisa, as she preferred to be known, lived most of her life at “Fernhurst”, a house that her mother, Charlotte Barton, built at Kurrajong Heights in the Blue Mountains. Louisa was a somewhat frail child with a heart defect, but there was nothing wrong with her brain, and under her mother’s tutelage she developed many skills. She became a well–known botanist, journalist, novelist and illustrator. Along the way she acted as un–paid scribe for the unlettered people of the community, and she organised and taught in the district’s first Sunday School. 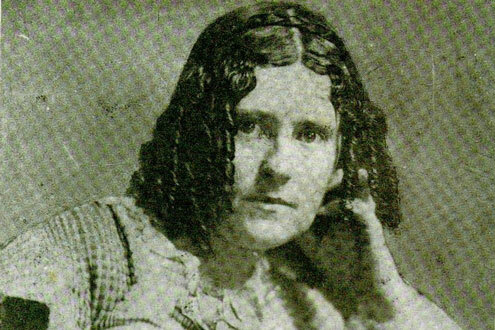 In her literary career, Louisa’s first claim to fame came with the publication, when she was 23, of a novel “Gertrude the Emigrant”, the first by an Australian–born woman to be published in Australia. She was also the first author to illustrate her own work. Her second novel, “Cowanda, the Veteran’s Grant” had a cover design by S T Gill. Numerous other novels followed, each with an educational and moralising import. 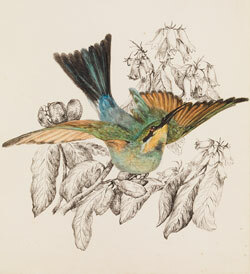 In 1853, aged 19 she had her first series of illustrated natural science articles published in the Illustrated Sydney News under the title of “Nature Notes of the Month with Illustrations”. 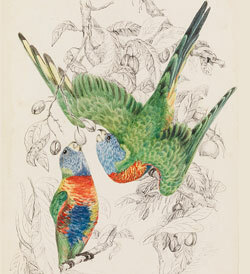 Later in 1860 for about ten years The Sydney Morning Herald published her series of natural history sketches titled “A Voice from the Country”. She also became well–known as an amateur geologist, zoologist and taxidermist. There seemed little she could not do. Louisa is acknowledged as a leading botanist who discovered new plant species in the Blue Mountains and Southern Highlands, and she championed the cause of conservation during a period of rapid land clearing. She travelled, either on foot or more often on horseback, to pursue her interests in botany. 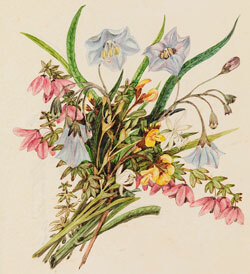 She would often visit the Grose Valley, Mt Tomah and Springwood, and collect specimens for both Rev Dr William Woolls (a well–known teacher and amateur botanist) and for Ferdinand von Mueller. Doodia atkinsonii (no longer a recognised species, no modern synonym, but believed to be a form of the modern Doodia caudata). 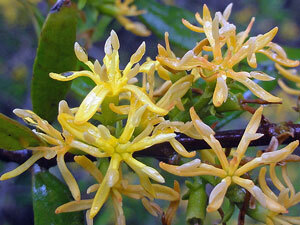 Read David Coleby's story of Louisa's Mistletoe (Atkinsonia ligustrina) here. In 1865, when Louisa was 31, she and her mother returned to Oldbury, where her mother died in 1868. 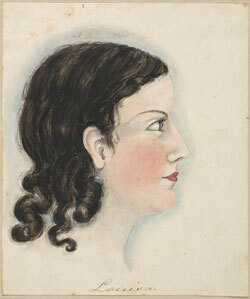 Louisa married the following year, when she was 35: James Snowden Calvert was a wounded survivor of Leichhardt’s expedition of 1844–5, and had been manager of Cavan station at Wee Jasper near Yass. He too was keenly interested in botany. 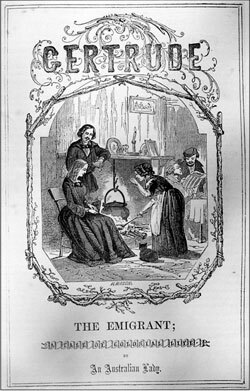 Louisa bore a daughter on 10 April 1872. Eighteen days later she saw from the window of their house her husband’s riderless horse gallop into the yard. Imagining he had been killed in a fall, Louisa suffered a heart attack and died suddenly. Minutes later her husband walked into the yard, very much alive. Louisa Atkinson is remembered in the local community as a pioneer of dress reform. She discarded the long dresses of the period for trousers because they were much more suitable for bushwalking and pony riding. Needless to say, this aroused “some twitterings in the ranks of the colonial Mrs Grundys” of the area. Her daughter, Louisa Snowden Annie Calvert survived, became a doctor, and married Dr John I C Cosh. They practised together in Moss Vale and she lived until 1956. 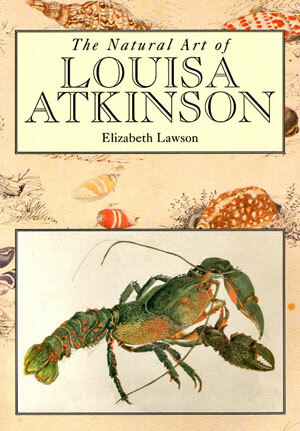 Published in 1995, Elizabeth Lawson's The Natural Art of Louisa Atkinson illustrates dozens of Louisa's paintings and sketches. Three of these are shown below. The book also provides a detailed biography of the life and times of Louisa Atkinson. 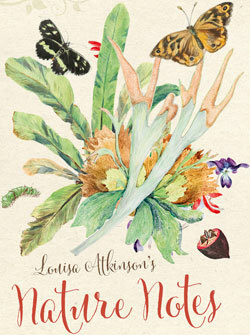 A companion book, published in 1990 by Patricia Clarke, Pioneer Writer: The Life of Louisa Atkinson: novelist, journalist, naturalist, celebrates details of Louisa’s achievements in writing and in science. The following images are courtesy of the Mitchell Library, State Library of New South Wales. * Native flora - Tetratheca thymifolia - Black-eyed Susan (pink flower); Solanum possibly aviculare, certainly one of the kangaroo apples (blue flower); white orchid unidentified; most probably Pultenaea sp. one of egg and bacon peas (yellow pea flower).